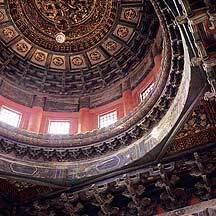 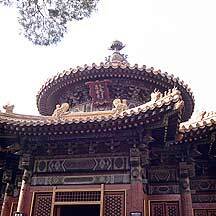 太庙 Taimiao is the royal temple for making offerings to ancestors. 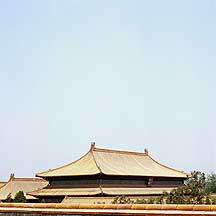 Located to the east of 端门 Duanmen, the gate after Tiananmen. 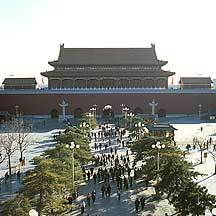 North side of 天安门Tiananmen viewed from atop the 端门Duan Gate. 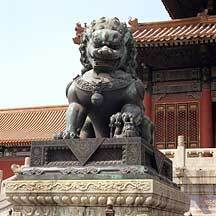 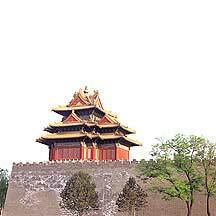 端门Duan Gate is the gate after 天安门Tiananmen and before the 午门Wumen(The Meridian Gate). 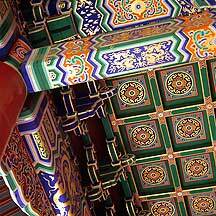 What you see here is the freshly repainted colorful decorations on its hallway. 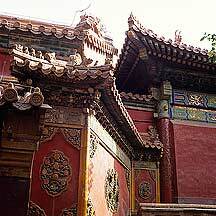 One of the pavillions over the stream. 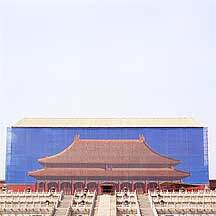 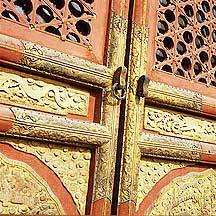 As the name implies, 太和门 Taihemen is the gate to the 太和殿 Hall of Supreme Harmony. 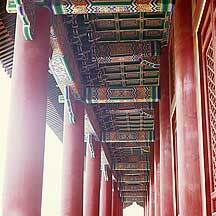 The north entrance of the Gugong.